London-based fashion photographers Holly Hay and Kasia Bobula have launched a new publication showcasing their striking behind the scenes images of models at fashion shows. With an innate flair for capturing the true glimpses of personality and intimate fleeting moments backstage it was inevitable that, after a chance introduction by a mutual friend, the two would fall into a natural collaboration. The book fluidly combines both girls styles and will be the first book published under Ida Rhoda, which began life as a website hosting a vast online visual archive, run by Hannah Ridley, the publisher of the project. We caught up with Kasia, one half of the creative duo, to find out more about the new book and what other projects she is working on. Dazed Digital: How did you meet Holly and why did you decide to do this kind of project with her? Kasia Bobula: What’s funny is that we didn’t initially meet at the shows. The introduction happened through Hannah Ridley, who art directed and published the publication and previously commissioned our work for Elle. I always loved Holly’s images for the spontaneity and delicate emotions that she captures. We work very differently – I prefer to work closely with my models and often ask them to perform in front of the camera. Holly on the other hand, takes a very unobtrusive approach, often photographing girls when they are not aware they are in the frame. What I think does unite our work is the softness (we both use 35mm film) and the honesty. I guess we’re both really interested in the models being real girls. DD: How did the idea for the book come about and how did you go about choosing which images to use? Kasia Bobula: The book is the first publication from Ida Rhoda – an online visual story, which Hannah has been curating for the last year. 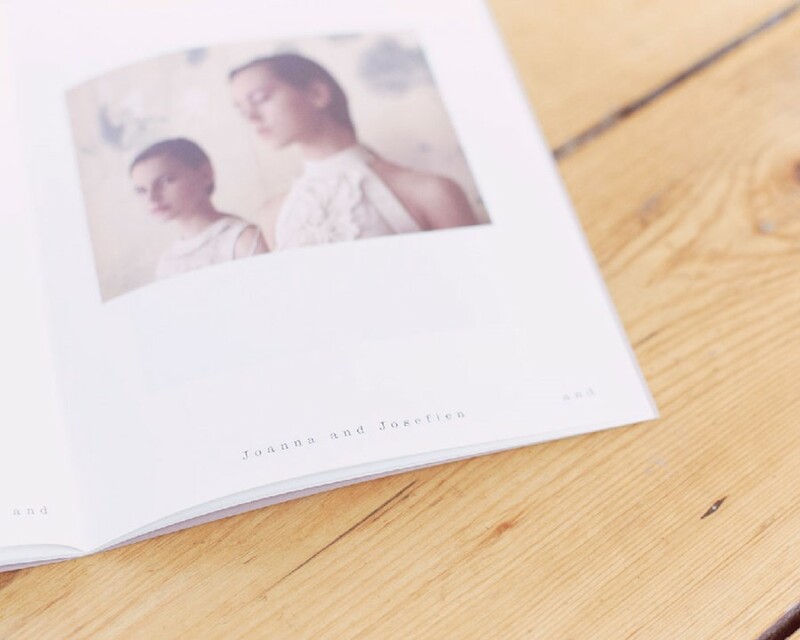 It has now become her own publishing house and Holly and Kasia is its first publication. The images are diverse – you see some girls giggling, others being more contemplative and withdrawn. Still, they all seem to capture intimate moments, which after all, are quite a rarity backstage. DD: Any photographers who you are inspired by and why? Kasia Bobula: Oh, there are so many! Ed van der Elsken, Irving Penn, William Klein, William Eggleston, Weegee, Boris Mikhailov, Mary Ellen Mark. I generally find more inspiration in documentary photography than fashion and I think there is something very timeless about the way they composed their shots. Kasia Bobula: I’m taking backstage photos in London for New York Times magazine, which is very exciting. There are also three other books due to come out next year, which will include my pictures. Sadly, I can’t say anything about it, just yet!